This snoozy owl crocheted lovey is the perfect napping companion. Its sheer cuteness will definitely make your wee one fall sweetly in love. In fact, this pattern is an ideal project for people with intermediate to advanced crochet skills. 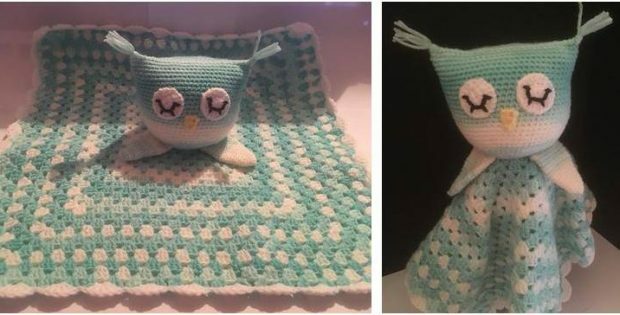 Once finished, the crocheted blanket should measure approximately 16 inches square, while the owl should be about 5 inches by 4 inches in size. This crochet pattern is an awesome design by Amanda Julien. In fact, you can access the FREE pattern for this cute crocheted lovey from the Stitched Pixels website.